Green burials have been practiced for centuries and were common until the late 19th century. Green burials do not use a formaldehyde-based embalming. In fact, most green burials do not include embalming. Caskets made of metal or exotic wood, concrete burial vaults or large stone monuments are not used. The deceased body is kept in refrigeration or dry ice is used for preservation and the body is then placed in a casket made of renewable, biodegradable material or wrapped in a fabric shroud before being gently placed directly in the ground. 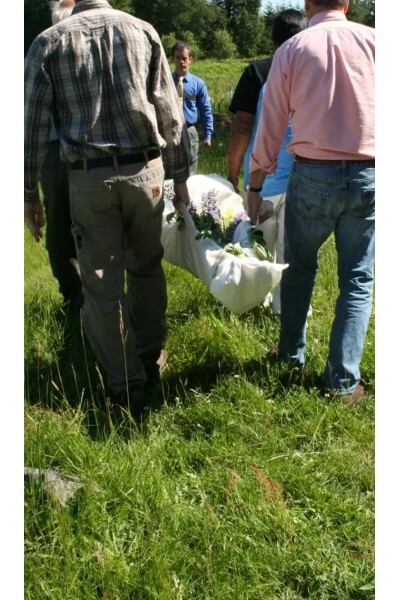 A natural burial is an environmentally sustainable alternative to a conventional burial. Why should I consider a “Green” or Natural Burial? Increasingly, many people are looking for alternatives to traditional funeral arrangements. They want a simple, less costly and more natural approach to their own final arrangements. Many are concerning about loss of natural habitat, decreasing green space and man’s impact on the environment. How Does A Natural Burial Differ From A Conventional Burial? Embalmed bodies may not be interred in a Natural Burial Ground. The U.S. Environmental Protection Agency has named formaldehyde as a “probably” carcinogen. A Green Burial will ensure that alternatives are available to people who want to minimize their environmental impact and handle their death in a natural way. Instead of a typical metal or endangered wood casket, a green burial uses a casket made of pine, poplar, ash, or even wicker. Alternatively, the body may be wrapped in a shroud of biodegradable fibers such as linen, cotton or bamboo. Bodies are placed directly in the earth. Gradually, the body returns to the earth in a natural progression. Most Cemeteries require the purchase of a vault or outer burial container into which the casket is placed. These containers range from several hundred to several thousand dollars. 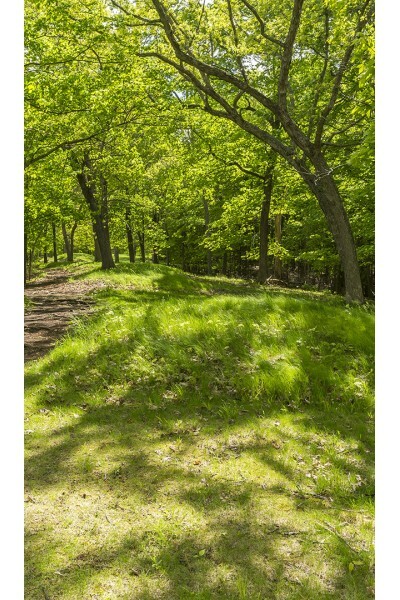 Green Burial cemeteries specify no vaults can be used. Can We Still Have A Funeral or Memorial Service? Absolutely! A meaningful service at our funeral home chapel, church or graveside is encouraged. Our helpful staff can assist in planning a service that celebrates the life of the deceased and honors them is a very personal way. Can I Pre-Plan A Green Funeral or Cremation? Yes you can! From an emotional and financial point of view, pre-planning makes perfect sense. Contact our office for more information on pre-planning. Do Green Burial Cemeteries Allow Cremated Remains? Yes, most Green Cemeteries provide grave spaces and scatter gardens specific to cremated remains.